Syrupy smooth warm tube dynamics with plenty of bark. This box is reminiscent of vintage tube amps pushed to their limits. Two- position toggle provides additional low end boost similar to a close miked amp. There is plenty of gain here, but this box is all about pick attach and tone. It is very transparent and responsive. The harder you play the more it bites back.ControlsPresenceGainOutput2-position low boost toggleTrue bypass footswitch. 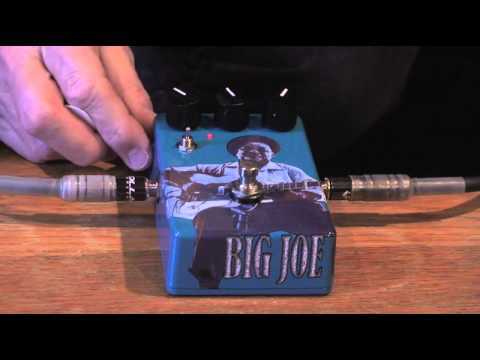 Do you own Big Joe R-403 Vintage or have you had a chance to try it?